… be accessible to English Language Learners. … have a wide range of listening options that would be combined with comprehension assessments. Other links that didn’t make this list can also be found on my website under Listening. I’m not listing these sites in order of preference, as I’ve done with a majority of my previous “The Best…” lists. Instead, I’m just dividing the list into the two categories that I’ve shared in my criteria. YAKIToME lets you copy and paste pretty much anything you want and the convert the text to speech.You can choose the type of voice (it uses ATT technology, which I’ve had a link on my website to for a longtime because it’s so good), the rate of speed (there are numerous settings), and even customize pronunciation for certain words. You choose to see the text when you’re listening to it being spoken. And you can create private groups if you want. Most importantly, it seems to work without any technical difficulties. Plus, it’s free. Read The Words lets you convert any text – from a document, blog, or website – into audio with your choice from a variety of voices. You can then embed the voice player into your site. English Language Learners can easily copy and paste an essay they’re writing to hear if it sounds “right.” They can complete a story or essay, paste it into a Jottit page, and then embed a Read The Words audio player that will speak what they wrote. The site had some technical glitches when they first began, but it seems like those have been worked out. The above three sites all require registration and log-in to use (though they make it easy to do so). These next few don’t allow you to save what you’ve written, or text that you copy-and-paste. And you can only use it for relatively small amounts of text. However, they don’t require any registration at all so you can use their services immediately. They include Voz Me, Oddcast, and Cepstral. You’ll find links to them at the top of many of the pages on my website. This section of sites itself is divided in two — first, I’ll share excellent resources that offer specific listening exercises that are then generally followed by questions to measure comprehension; then, I’ll share links to sites that provide online dictation activities. Even though I said earlier I wasn’t going to list sites in order of preference, I have to say, as I’ve said before, that I believe Henny Jellema’s Online TPR Exercises are not only the best online listening activities. I believe they are the best online ESL/EFL activities — period. If you have not tried them out, I would strongly encourage you to do so and have your students do the same. ELLO provides hundreds of listening activities that are well-designed and engaging. Randall’s ESL Cyber Listening Lab does the same — it has great activities, though I just don’t think it’s as user-friendly as ELLO. Interchange “What Do You Hear? Listen and Write is a new web tool that I think has a lot of potential for English Language Learners. A user first chooses a text he/she wants to hear read to him/her. Many of the choices are from the Voice of America, and are both high-interest and accessible. Their levels of difficulty are also indicated. Then the story is dictated to you, and you have to type it correctly. You can choose the speed of the reading and how often it’s repeated. When you type, only the correct letters actually show-up on the screen, and you can ask for hints. The English Club has a series of simple and effective dictation exercises. They’re well organized, simple, don’t require registration, and have ones for a variety of English levels. Audio Puzzler is a fun and useful listening game. English Speak has 100 listening lessons (framed as dialogues) that give you two different speeds in which to listen to them. David Deubelbeiss has posted a very good document for ESL/EFL teachers sharing ideas for listening activities to do in the classroom. Even thought it’s for teachers, it’s so good that I’m adding it to this list. One of my favorite links is called Phrase Builder from Oxford Press. You first pick a level, then see and listen to a phrase. Then the words are scrambled, and finally you have to place the words in the correct order as you listen to it again. Phrase Bank is similar. Quizlet is on The Best Tools To Make Online Flashcards list. They’ve just added the great ability to have users listen to a word and then have to spell it. This dictation feature is excellent for ELL’s, and EFL Classroom has created a list of links to the best Quizlet dictation activities. Listen A Minute is another great site by Sean Banville. Caroline Brown Listening Lessons is a quite impressive set of interactive listening exercises. As regular readers know, ever since I discovered them, I’ve believed Henny Jellema’s online TPR Exercises to be not only the best listening exercises for English Language Learners on the Web, but the best ELL activity — period. The importance of active listening and how to do this in an EFL classroom is a useful #ELT Chat summary from Twitter. The British Council shares a number of good listening activities to do in class. Nathan Hall has a great collection of ELT Listening Material. Balanced Listening Instruction is from TESOL and is one of the most useful pieces on listening for ELLs that I’ve seen. 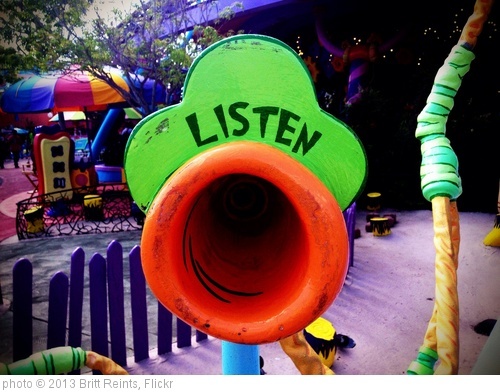 Attentive Listening: An Overlooked Component of Academic Interaction is by Kate Kinsella. Elementary Podcasts are from The British Council. There are tons of English-learning podcasts out there, but this one stands out because each one includes web-based interactive exercises. I’m not aware of any other one like it – am I missing them? 25 ideas for using audio scripts in the ELT classroom is from the English Language Teaching Global Blog. How to use the internet to improve your listening skills is from Dynamite ESL. 5 great zero preparation lesson ideas is by Steve Smith and shares good listening activities. 10 Best Free Listening Websites with Quizzes to Practise for Listening Exams is from Blog de Cristina. Eight listening-research findings every teacher should be aware of and their implications for teaching and learning is by Gianfranco Conti. Using graphic organizers as scaffolds while listening is from Cambridge University Press. Developing listening skills with storytelling is from Oxford University Press. Listening and Speaking With Digital Assistants is from TESOL. Feedback and other suggestions are always welcome. This is great. I’ve been wanting to try websites that convert text into audio and hadn’t had the time to follow up on one of your suggestions (I think it was Voz Me) at CATESOL. A friend who works for the federal government in Washington D.C. was asking me a few months ago if there were any websites that convert text into spoken audio so I will surely pass this info on. A student of mine has recently asked me how he could improve his listening skills. Your list has just come in handy! In fact, I love your lists! Your resources and recommendations are INVALUABLE for teachers and learners. Thank you so much for not only the links, but the reviews which I find very helpful. These saves me time and helps me get the resources to my specialists much quicker. You are an essential part of my PLN! I’ve been looking for websites that offer quality listening materials for along time. Now I have a long list. Thank you so much for compiling this amazing list Larry. I have bookmarked it and will share it around. I was very excited to see EnglishClub’s dictations here. There is also a new Podcast section that has listening for English learners, including Chinese and Western zodiac listening exercises that focus on adjectives of personality.http://edition.englishclub.com/category/podcasts/ Our This Week in History now features quizzes and audio for all 52 weeks: http://www.englishclub.com/this-week-in-history/index.php. I also do a Wednesday mini-podcast for ESL-Library that is free and available on iTunes. Yesterday was our 81st episode. Teachers assign these for extra listening or for a preview to the lesson which is available for subscribers. Anyway, thanks again for keeping this all together. I’m following you closely on Google +. These are great! I’ll be adding them to multiple “The Best” lists. Thanks. This is an interesting news site I found that is designed for ESL students. It has news clips spoken in slow, easy to understand English with transcripts. I use it to teach my intermediate classes. There is even popup phrase translation for Japanese. You have some good resources on your site. Keep up the good work! One of the best tools for learning a new language is Text Speaker. It has customizable pronunciation, reads anything on your screen, or reads almost any file type. The bundled voices are well priced and sound very human.t Voices are available in English, French, Italian, Spanish, German, and more. Easily converts blogs, email, e-books, and more to MP3 or for listening instantly. Hi, my site ‘The Full English Experience’: http://fullenglishexperience.com/ would be right up your street. It has audio articles, transcripts and comprehension questions that make for great English listening practice. One excellent text to speech tool – “Text Speaker” app. I use it to listen to my school guides for learning languages.There is an option to correct and improve the pronunciation of words. This helps me to learn the languages properly. helped me a lot. You can try this.